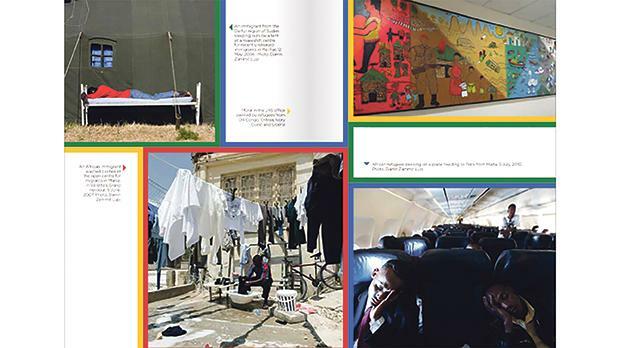 Aditus, the NGO that acts as the watchdog for human rights in Malta, recently launched Our Island: Personal Accounts on Protecting Refugees – a book that offers various eyewitness accounts of encounters with migrants. Neil Falzon tells Ramona Depares all about the project. When was the idea for Our Island: Personal Accounts on Protecting Refugees born? I’ve been thinking about this kind of book for several years. I worked with UNHCR Malta at the height of boats arriving packed with refugees. Our days were packed with things happening, emotions, good and bad news, lessons being learnt every single day...tough days for everyone, yet really intense. I kept thinking that we needed to remember all this, that we must make sure we do not make the same mistakes. At Aditus foundation we put a lot of emphasis of learning as a tool of improvement for people, communities and states. We’re not a history or anthropology organisation, but our experience with our film Burning Bikinis has taught us the value of really digesting our past, for a better future. And that’s why the book is not intended to be a historical account of Malta’s years receiving refugees. By inviting personal contributions we wanted lessons, insights, feelings and moments to emerge and then lead us into tomorrow’s scenarios. How long has Aditus been working on it? We started working on the book in early 2017. After Arts Council Malta had approved our project, we needed to identify our authors – a difficult task, given the wealth of knowledge to be squeezed into a relatively small book and budget! Once our authors enthusiastically confirmed that they were on board, we organised a session in order to go down memory lane together, and to stimulate a discussion on key themes and episodes that had to feature in the book. There were many issues to be addressed, from detention to rescue at sea, governmental and non-governmental perspectives, institution-building, refugee communities and landmark cases etc. What is the most glaring ‘find’ from all these personal stories that are brought together in the book? The common element, so to speak? As I mentioned in my brief presentation during the book’s launch, the contributions are all about change. They all speak about what we wouldd call formal changes – new institutions, procedures, laws and policies – as well as the personal and deeper changes. And that’s what we’re really interested in. Being so personal, all contributions reflect the internal change process that our authors underwent – growth, maturity, humbling moments, awakenings. 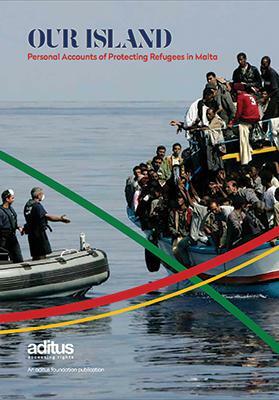 Importantly, the book also documents how Malta has changed in the way it views and treats refugees. Interestingly, not all changes are positive ones and we still have so much more work to do! Is there one story that has touched you particularly? It’s difficult to say, not because I’m being diplomatic, but because I chose each author not only on the basis of what they’d write, but also – if not more so – on the basis of who the person was and also meant to me. Some parts are extremely touching to the point of tears, others require a slow reading to capture the weight of the words and many share some details that would otherwise remain in one person’s memory. We’re extremely happy with the emotional community that the book creates, that despite the differences and views, our shared memories are what unite the authors, including myself. Have you seen any improvement in public perception towards migrants, or are things actually becoming worse? Yes, mainly because as I mentioned earlier, the arrival of refugees has changed us as a nation. Most of us now have friends, neighbours and colleagues who are refugees. The feared stranger hailing from distant unknown lands is now living with us and this allows people to talk beyond politics and numbers and, ultimately understand, not only what we often describe as ‘the plight of refugees’, but also that refugees share our dreams, hopes, aspirations and fears. On the other hand, the world is not a great place at the moment for most of its refugees. Nationalistic and far-right governments are on the rise and public discourse seems to have forgotten what is, and what is not, acceptable in the way we talk about human beings. It’s not only about making life unbearable for refugees, which is what’s happening in so many places, but it’s also about attacking the values and organisations that are key to a society built on the respect for fundamental human rights. Worrying times and the lack of political leadership to revive human righs – with a bang – is extremely disconcerting. With reference to the recent case where some 600 migrants ended up stranded in the middle of nowhere with Italy and Malta refusing to take them in – what were your reactions to the position of the Maltese government? Not surprised, but utterly disgusted. These incidents have been happening for at least 15 years now and yet we haven’t been able to prevent them or at least to resolve them with minimal human suffering. We say the same things we said then, behave in the identical way we did then...there’s a story in Our Island about one of the main incidents, nothing’s changed. Which is absolutely absurd because Italy, Malta, the EU and the UN know very well what the problems are and their solutions. Yet, we leave over 100 unaccompanied children out at sea as we squabble. Yes, I repeat, 100 unaccompanied children. To those who reply that Malta is too small to cope with the influx in numbers, what do you reply? Yes, Malta is small. Yes, when Malta was receiving boats on a daily basis, it struggled partly because the numbers were so big for us, but also because Malta didn’t exaclty want to be too accommodating. When we speak about space for people, we don’t actually mean physical space – the number of tourists we receive per year, and the number of foreigners boosting our thriving economy trump that one. What we really mean is psychological space and social space for people we don’t know and don’t really want to know about. For people who, we are made to believe, threaten our comfort zones if they get too close. Clearly, the EU needs to revise its approach to refugees, to stop forcing them onto boats and into other dangerous, illegal routes. It needs to scrap the very idea that the border Member States should act as the EU’s external borders and main reception centres. That just creates many more problems for everyone and is not entirely legal under international law. But again, even if we all agreed Malta is far too small to cope we still need to be true to our values and answer. Do our limitations allow us to leave people out at sea for days? Because we are small, can we send people to places where they could be killed, tortured, raped, beaten...? For us, the answer is clear and self-evident. What do you hope this book will help achieve? Firstly, we hope readers enjoy the information we’re sharing, information at times unknown as not previously disclosed. Secondly, we want to create a record of what happened to make sure it can be read by the present and future generations in order for them to know how Malta was at a given point, how we behaved and how these things turned out...the change process I mentioned earlier. Of course, we want to give our authors the place they deserve in Maltese history. Whether our readers agree or otherwise with our authors’ perspectives, their contribution to Malta is undeniable and merits its place. I understand that further editions in the series are being planned – can you tell us more? Yes! Our Island I gives the personal accounts of the people on the receiving end of protecting refugees...and it ends with Ali Konate’s amazing story that tells of hope and love. Ali’s in the book because he captures the change process I keep mentioned – from young new-arrival to Malta, to a well-established man with his own business, amazing family and the founder of the first migrant-led NGO. He represents the move to Our Island II, that will adopt the same personal approach and also look at refugees’ personal accounts of being protected in Malta. We’re already gathering newly-arrived refugees, some others that have bene here for decades, some that have moved on to the US or other EU country...we should be finished by the end of the year.